Shoot and edit smartphone video like a pro with these quick tips. Request a PDF of this poster that you can hang in your classroom. Ready to take a deeper dive? 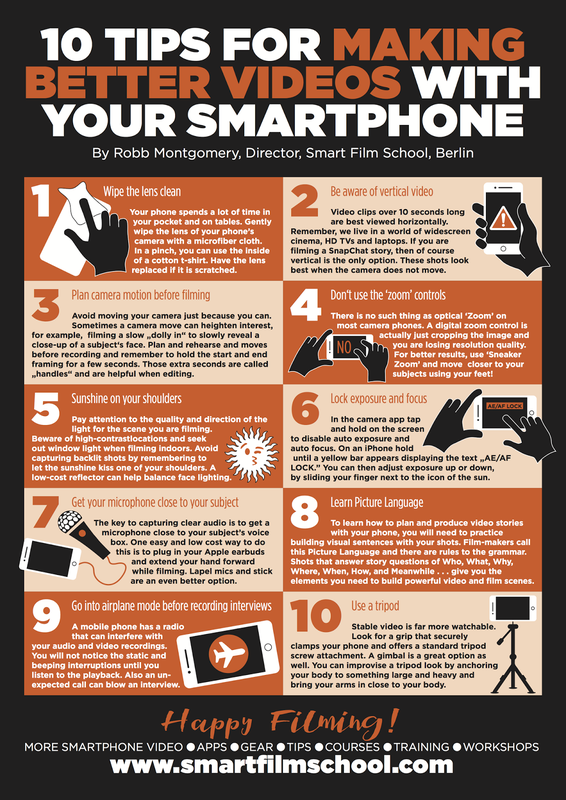 The Smart Film School is a collection of e-learning course packs that teach you how to shoot and edit video on a mobile phone, produce social video content and master mobile journalism.